Move over boxed mac n cheese and hello Panera mac n cheese! Copy Cat Panera Mac N Cheese In the Instant Pot is so rich and decadent, you will want to savor every single bite. You can make this Panera mac n cheese in only 4 minutes using your Instant Pot. I mean it truly can’t get any easier, and the flavor factor is off the charts. Panera’s mac n cheese is by far one of my most favored items on their menu. I am a sucker for pasta and when you add loads of cheese, it has to be good! What sets this mac n cheese apart from the rest is the variety of ingredients it adds such a unique flavor that really draws you in. This is velvety, cheesy, and so very creamy, it is absolutely delectable. This recipe you use some hot sauce and Dijon mustard, bare with me here. 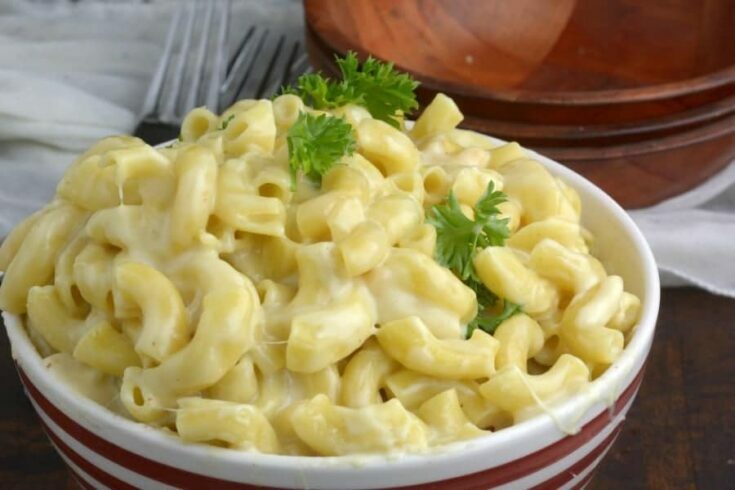 These two ingredients really give this copycat Panera mac n cheese that unforgettable flavor that you will dream about. At first, I thought how is hot sauce and mustard going to taste good in mac n cheese, but it just works. 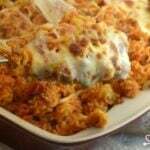 My Instant Pot Chicken Cordon Blue Is one of my favorite cheesy dishes. The sharp cheese and the American cheese are two kinds of cheese I love to cook with because they melt so well, it will give you a really nice and smooth texture that is so creamy. Best of all they are two kinds of cheese that you can buy pretty much anywhere. I have made some mac n cheese recipes that I had to go to three different stores to find the specific cheeses it called for. This recipe is so simple and uses basic ingredients that you might already have on hand in your pantry and fridge. 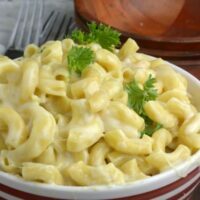 I can’t even tell you how many times I have made this recipe, it is so amazing and tastes exactly like Panera’s mac n cheese! It gets requested to be added to the menu often, and I can’t say no because it is hard to resist. 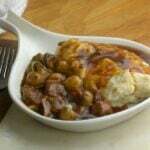 Plus the leftovers of this are amazing, the ingredients really blend together even more for a more bold and rich flavor. I hope you and your family enjoy this comforting copycat mac n cheese recipe. UPDATE: Make sure your broth covers the Pasta. you might need 3 cups just enough to cover the pasta. I hope you enjoy this as much as we did 🙂 Also see how to make Boxed Mac N Cheese right in the Instant Pot! This copycat mac n cheese in the Instant Pot is so rich and decadent, you will want to savor every single bite. Place pasta in your Instant Pot with chicken broth and butter. Set pot to manual high pressure for 4 minutes. Place your Instant Pot on saute. Stir in cheese and stir until melted about 1-2 minutes. Remove from heat and serve. ← Previous Post Talking Therapies: Which One Is Right For Your Personality Type? Is 1/4 cup hot sauce really right? I made this and the hot sauce was overwhelming. I just made it tonight & thought the same thing. It was tasty but on the spicy side & I couldn’t find white cheese (besides jack or Mozzarella). I wouldn’t say it was anything like Panera but it was good. I make recipe like this on the stove top and it calls for 1/4 tsp of hot sauce. But otherwise sounds de!ish and very close in recipe besides that. I was assuming it was a cut paste error or typo ? I looked at other copy cat recipes for this Panera recipe and it is 1/4 teaspoon of hot sauce in other recipes for this quantity pasta and some recipes simply omit altogether. This might very well be a typo. Made this for kids so left out the hot sauce buy added some sea salt. Also used less cheese, started with 8 oz of Colby Jack, added a couple of slices of American and threw in some shredded Mexican. Basically, what was in the fridge. Watched and added a few more chunks of the colby jack as needed. Came out soooo good. I will add some hot sauce to mine, but this is a winner. As fast as the box stuff and a ton better. Made recipe as instucted. OMG it was waaaaaaaaay over the top spicy. Agree with prior poster questioning that 1/4 cup is accurate?? 1/4 cup Tabasco is the whole 2 oz bottle. It makes this recipe on par with the spiciest buffalo wing you have ever attempted to eat but couldn’t. My son was so disappointed but we will try again tomorrow — w.o the hot sauce. Just looked this up elsewhere. It is supposed to be 1/4 teaspoon. Not 1/4 CUP. Beware and adjust accordingly or this turns into Nuclear Spicy Firetruck Needed Buffalo Mac n Cheese. Can I double recipe him the Instant Pot? I am new to Instant Pot. Just got mine and read in manual that they don’t recommend making pasta dishes. Your thoughts? Your missing out if you don’t! My noodles didn’t cook. They were very al dente. And it was far too cheesy. Any tips for how I can correct? It was super fast and easy. I’d like to make it again if I can figure out the noodles. Jen, I had to double the liquids. I also used half and half instead of milk. Made this tonight. It was a little heavy on the cheese. Should it have said 2 cups & 1 cup instead of 16oz & 8 oz. I had to add a lot more milk to make it edible. I will try it again with adjustments. It’s awesome!! Only thing was a used Frank’s hot sauce but maybe like 1-2 tbsp. Doesn’t need any more, especially if you’re making for kids. The rest of these ingredients make it really flavorful!! Do I drain the both out before sauté???? 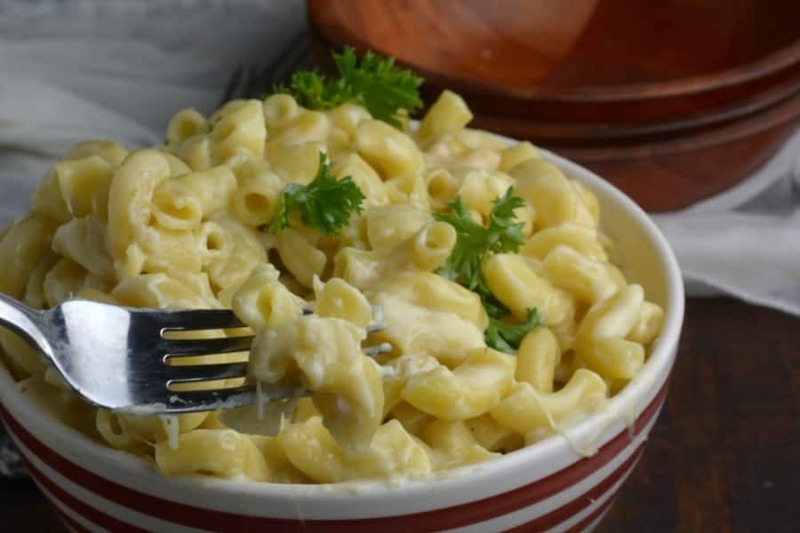 Your copycat Mac and cheese looks delicious! Just a thought, would it also work with cheddar cheese? Another question, can it be made in advance and kept warm in the Instant Pot? Are all your recipes for the 3 qt. Mini IP? I cook just for myself. They look and sound delicious. I haven’t purchased my IP yet, but, will very soon. Am anxious to start using one. I pondered whether I should get the 3 or 6qt Instant Pot. I ended up with the 6 qt LUX60 ($79 on Amazon.) I figured I can make less and It would be fine. I cook for 2 and we love leftovers!. The only reason to get the duo, from my perspective is if you want to make yogurt. There is no button for that on the LUX. I love my IP!! What size IP is this for? I’m assuming for my 3 qt, I need to change the quantities? I love your recipes! MORE, MORE PLEASE!! Can you make this a day ahead and reheat in the oven? a from that same opponent in late situation.